Wow, who made this? The first chord is Bm, not B Major…..totally wrong. I think instead of a B it would sound nicer in Bm and also instead of just a D in the second line of each verse, it would work if you added an A at the end of the line. Gordon Matthew Thomas Sumner CBE (born 2 October 1951 in Wallsend, England), known by his stage name Sting, is an English musician, singer-songwriter, multi-instrumentalist, activist, actor and philanthropist. Prior to starting his solo career, he was the principal songwriter, lead singer and bassist for the rock band The Police. 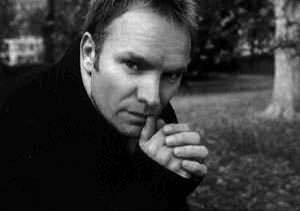 Throughout his career, Sting has incorporated distinct elements of jazz, reggae, classical, New Age, and worldbeat into his music. .